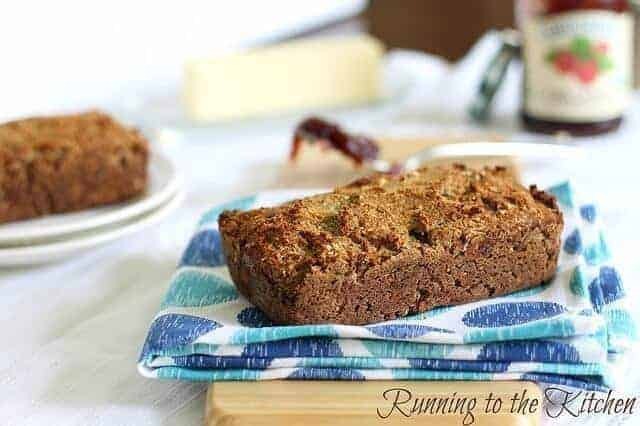 Paleo banana bread warm from the oven is one of those comforting, homey memories that just brings a smile to your face no matter how old you are. The smell, the taste, the good-natured (or perhaps more Darwinist, in some houses) struggle for the last slice; banana bread is a form of edible magic. Yet for all its charm, it isn’t actually all that good for you in the healthful sense. All the things that make it taste so good are precisely the things that can lead to issues later in life. So what’s to be done? Must we give up all the things we enjoy in a scorched earth approach to good health? Not at all! 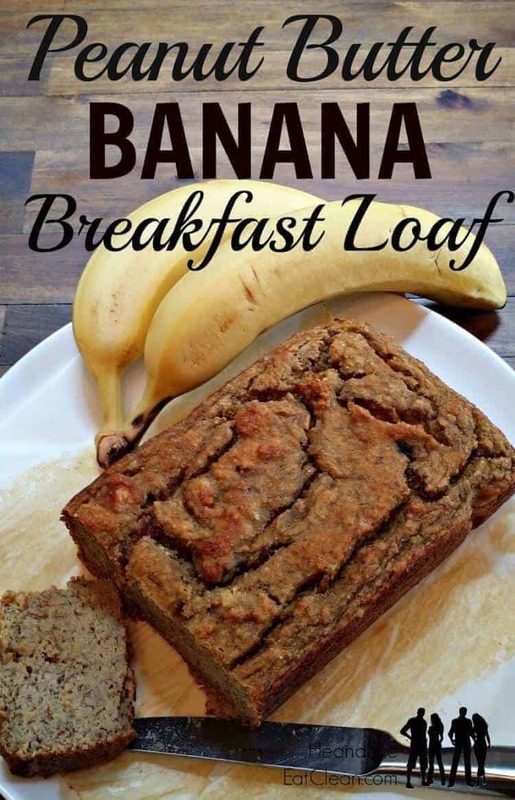 In fact, you can have your banana bread and eat it, too – all you need is a little ingenuity. Well, that and the Paleo diet. 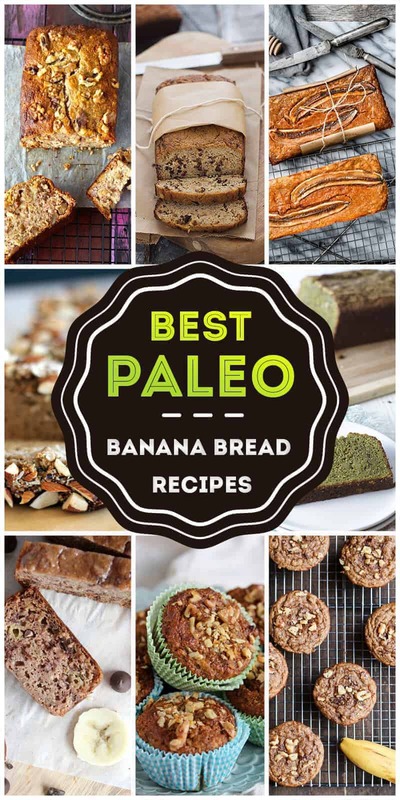 Paleo banana bread recipes open up a whole new world of eating possibilities, letting you enjoy your banana bread without all the baggage of traditional recipes. Why take in loads of refined sugars, starches, fats, and so forth when you don’t have to? That’s what Paleo banana bread frees you from. But why just take it on faith? 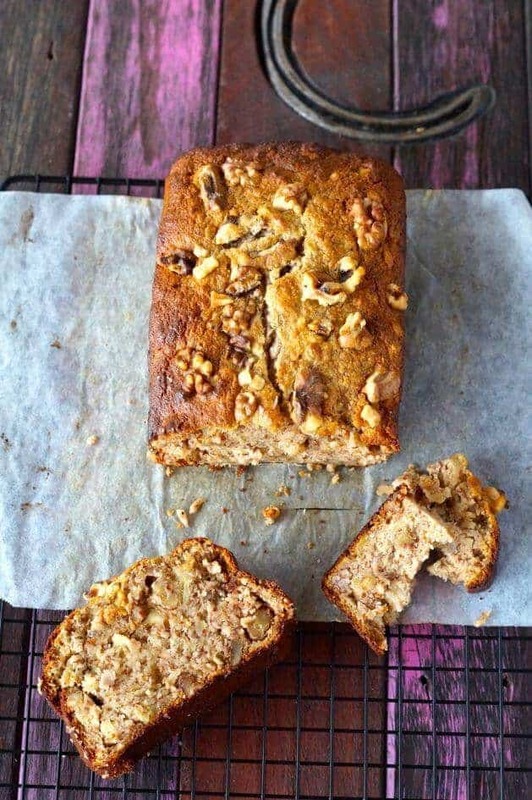 We’ve got 50 of the best low-carb banana bread recipes for you to try right now. All you have to do is keep reading. Sound good? We thought it might. Let’s begin. NOTE: Those readers sensitive to nut allergies may wish to substitute the nuts, nut-based flours, and other such ingredients which are found in the following recipes for compatible analogues. Lots of dieters resign themselves to giving up “guilty foods” when they start to eat healthy, and the Primal diet is no exception. 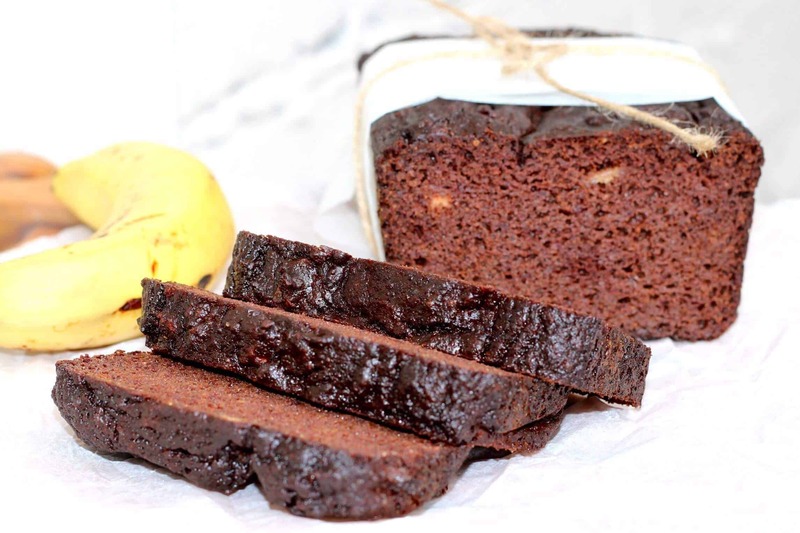 This choco-licious banana bread, however, is proof positive that you can have your proverbial cake and eat it, too. 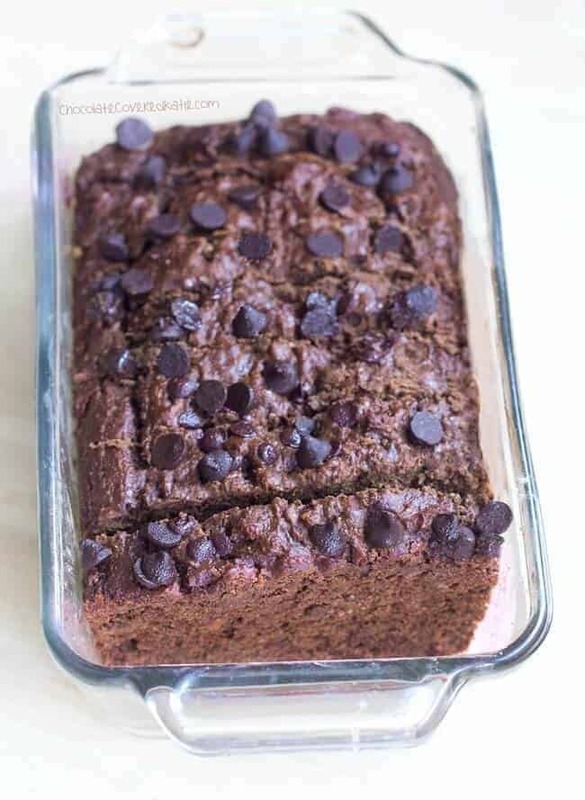 Low in fat and calories but high in great taste and chocolaty goodness, this is one Paleo banana bread recipe that’s sure to please. 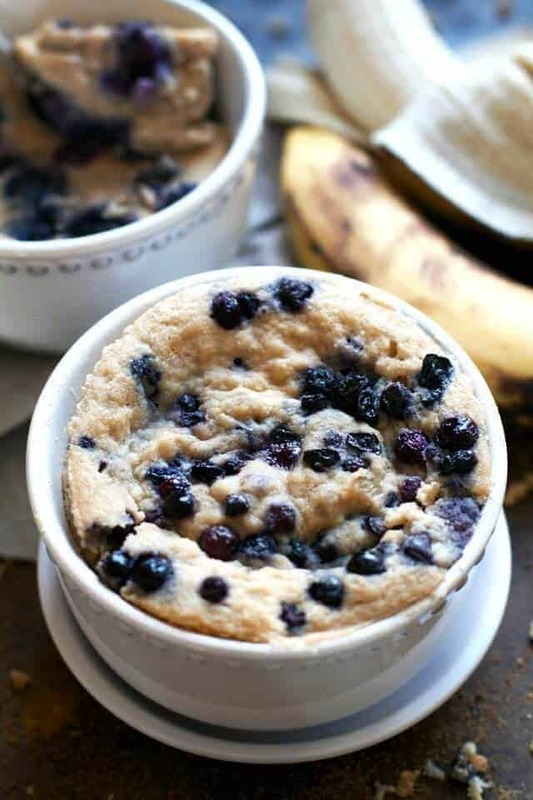 This would make a great recipe for diabetics or similar Paleo demographics who still want a great-tasting banana bread when dessert time rolls around. 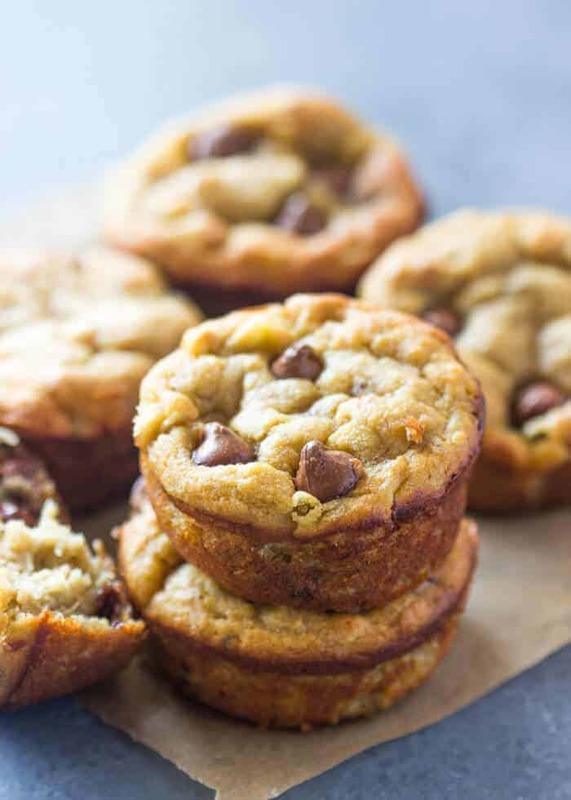 Made with plenty of real bananas to keep the vitamins up and the fat and carbs down, you can afford to toss in a few extra sugar-free chocolate chips – after all, who’s counting? 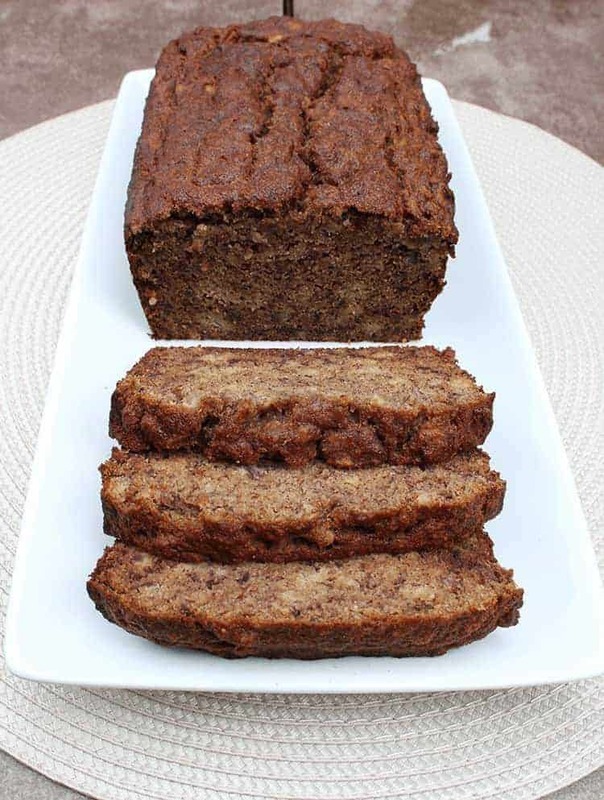 This banana bread uses mashed bananas and maple syrup to produce a sweet and moist banana bread; the flours used – flax, almond, and coconut – provide a non-traditional, healthful base. By the way, if you’re looking for Paleo foods that happen to be sugar-free (in the traditional sense of the word), this recipe is for you! 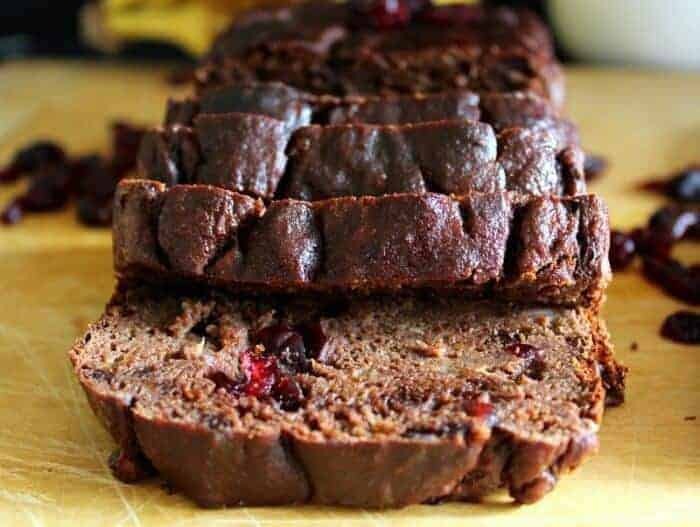 It might sound like an odd combo at first, but this Cherry-Zucchini Paleo Banana Bread will put a zing in your mouth and a smile on your face. 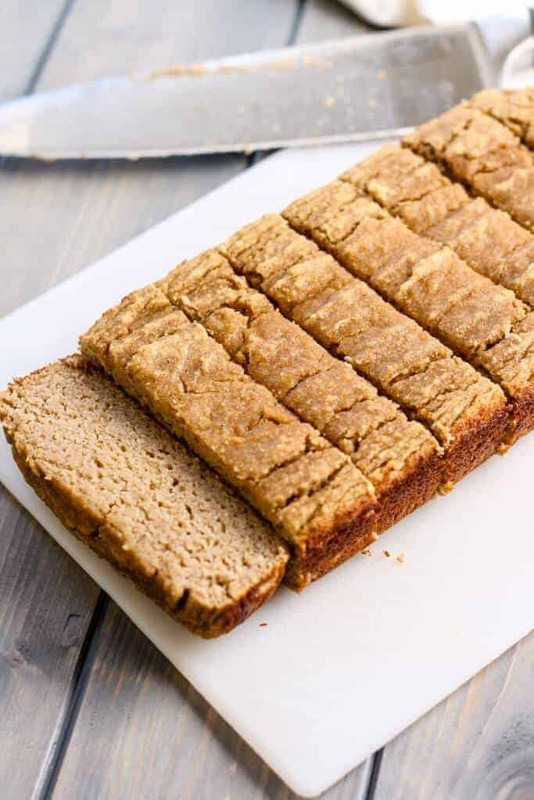 Gluten-free, dairy-free, and Paleo-certified, the only danger to your waistline with this Paleo banana bread recipe is eating the entire loaf in one sitting! This banana bread actually comes out as more of a sort of healthy banana muffin-esque thing than proper banana bread. It’s super dense, cakey, and lends itself well to light toasting (in a skillet). Just make sure you use very finely ground flour, or it’ll fall apart like a badly-built sand castle. This is a Paleo diet recipe for the adventurous at heart. Full of exotic nut flours and other such ingredients, including Bailey’s Irish Cream Liqueur, this will make a great bit of brunch or breakfast nosh over coffee, chit-chat, and a book or newspaper. 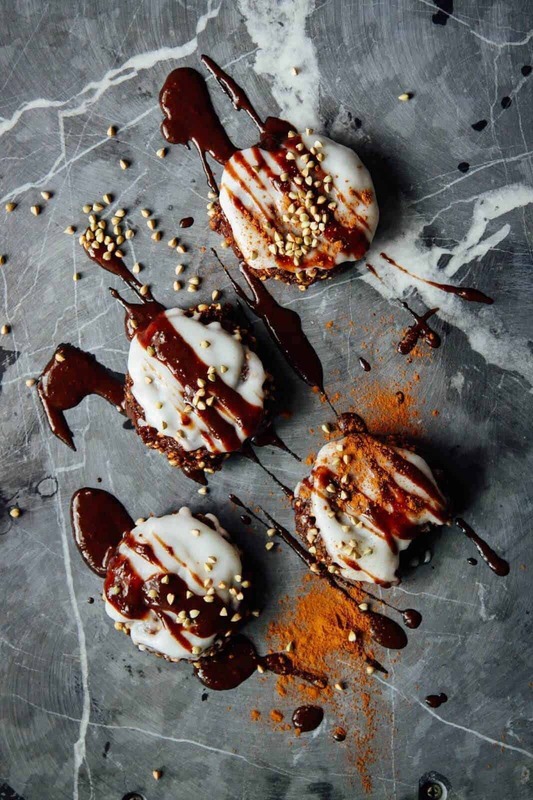 It’s got chocolate, it’s got coffee, it’s got maple syrup and cinnamon and more bananas than you can shake a chimpanzee at – and you can even make it vegan with a couple astute substitutions. 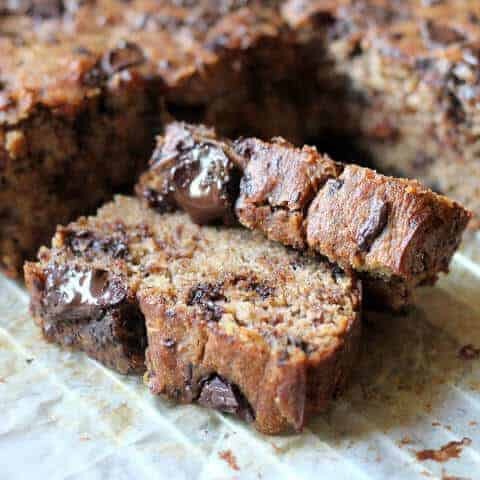 This set-and-forget recipe for Slow Cooker Paleo Banana Bread With A Mocha Swirl is just one more notch in the belt of Crock Pots everywhere – because really, is there anything they can’t do? If the title of this recipe doesn’t have your mouth watering, you may have something wrong with you. 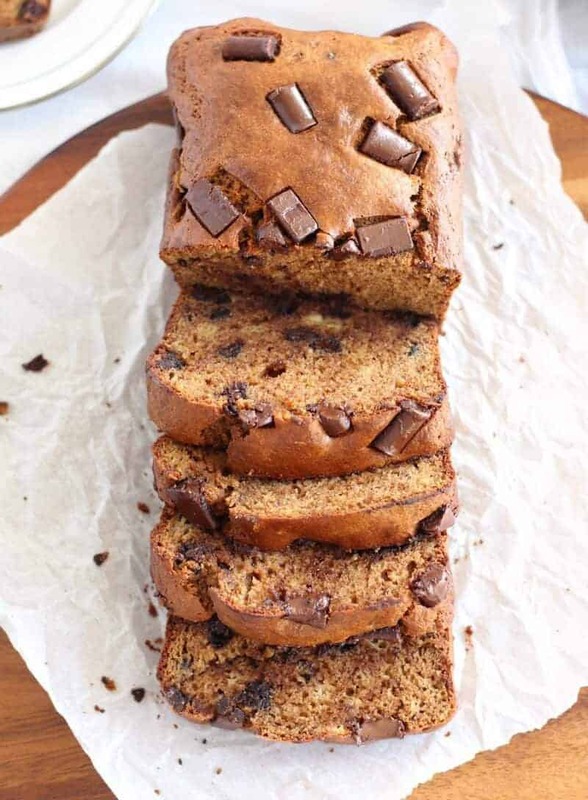 It’s everything a great loaf of banana bread should be – moist, tender, and delicious on the inside, bursting with chocolate and banana flavors, and wrapped in a crust with just the right amount of crunch. Oh, and it’s healthy in the bargain. What more could you ask for? 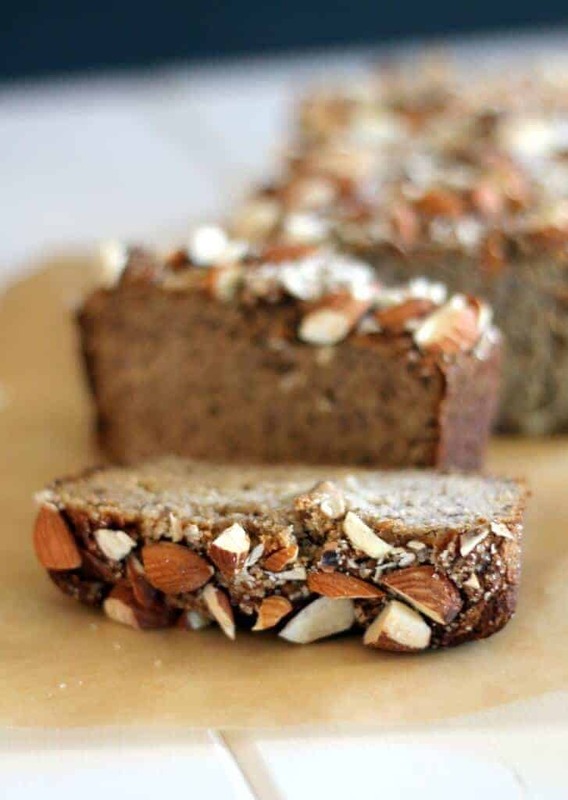 Another banana bread that straddles the line, somehow, between health food and cake, this Paleo Almond Banana Bread is a testament to the power of all-natural ingredients. Pulling its considerable moisture and sweetness from nothing but honey and bananas (unless you use the non-Primal turbinado sugar that’s offered as an option at the end), the secret ingredient is probably the coconut oil. Dense, dark, and delicious, this one’s a treat. 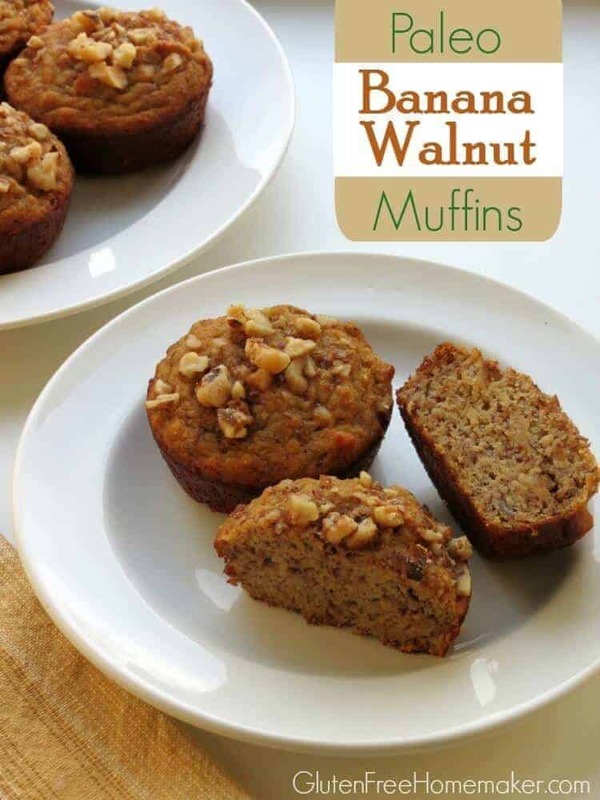 A twist on the recipes featured so far, these little muffins are just a bite-sized take on the classic Paleo banana bread loaf. 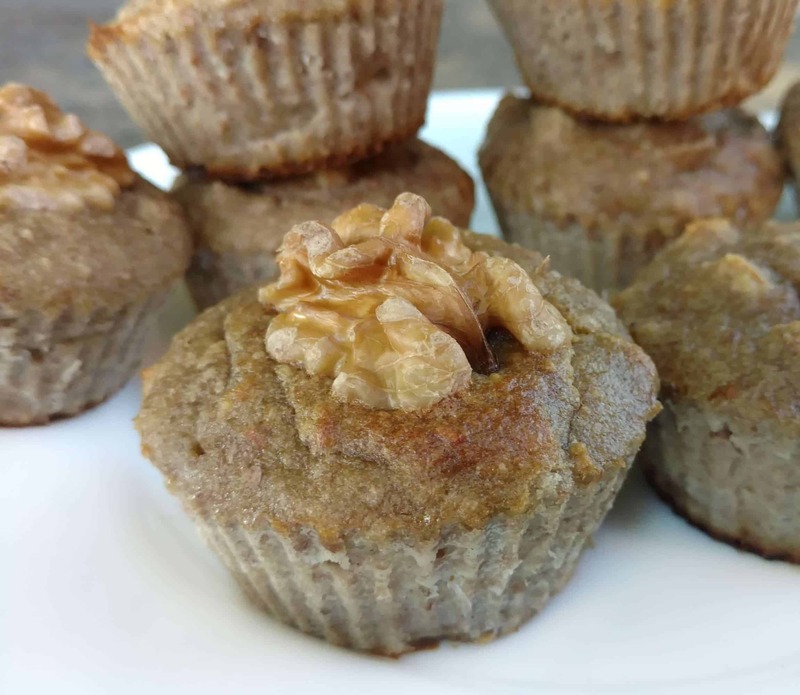 Paleo foods offer tons of room for experimentation and customization, and these muffins prove that point with a delicious exclamation point. By the way, you can’t ask for a better housewarming gift than this, so bake an extra batch for the neighbors, and share them around! 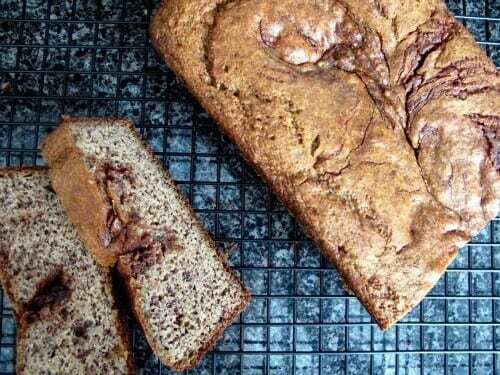 This gluten-free banana bread recipe is a great intro to the Paleo foods movement. It’s simple to make for the uninitiated, and if you happen to be more experienced, you can tweak an ingredient here and there to make it more exotic, friendly for vegans, and so forth. 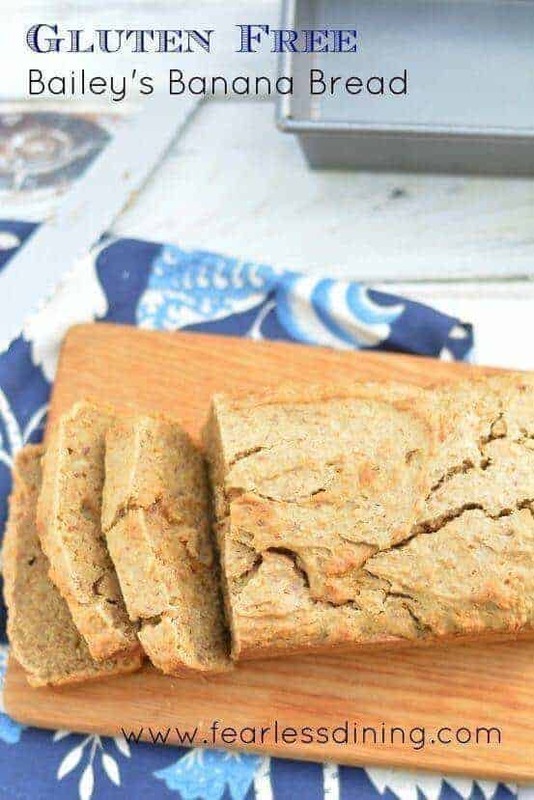 As it stands, this is one of the simplest recipes you can find for enjoying delicious, healthy, gluten-free banana bread. 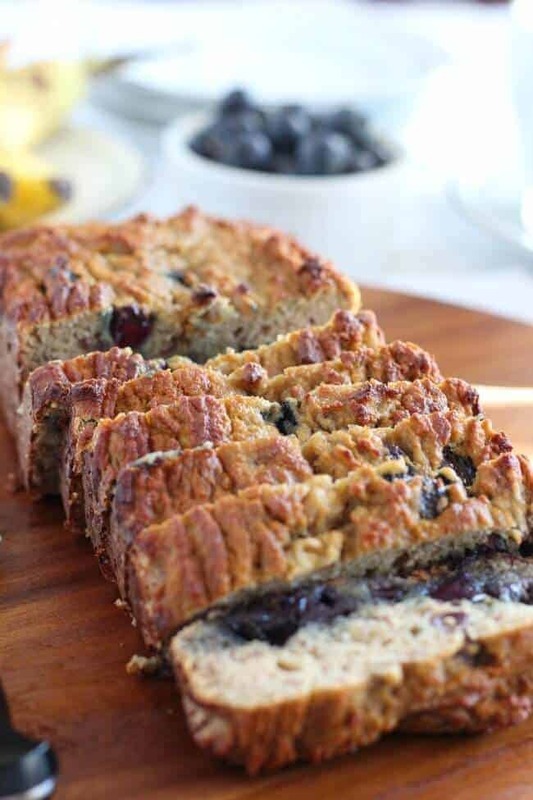 No oils, no nuts, no dairy, no grains… this twist on banana bread has a long list of “left-outs”, but makes up for it with what it leaves in, like whole bushes full of ripe blueberries, pure maple syrup, and all-natural full-fat coconut milk. It’s an organic foodie’s dream come true! This one’s for you, madding crowd. 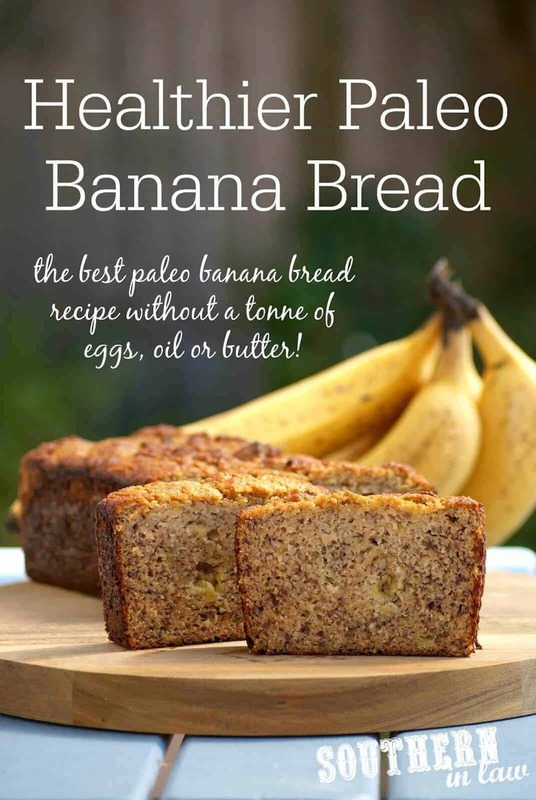 If you’re of the opinion that a 26-hour day would be best suited to your lifestyle needs, what more could you ask for than a paleo banana bread recipe that can be whipped up in about 15 minutes? The ingredients are dead simple, dirt cheap, and hey, there’s even the option of a chocolate swirl if your sweet tooth is making a fuss. So go on, take a time out – or don’t. After all, with this recipe, it’s not like you’ll need it. Another quick-serve option, this recipe’s all about speed and customization. You start with a batter base, and from there, go wherever you want. Feel like chocolate? Do it. Want fruit instead? Throw it in. How about pumpkin pie? There’s a way, young grasshopper. You can even make muffins with this recipe, if you wish. 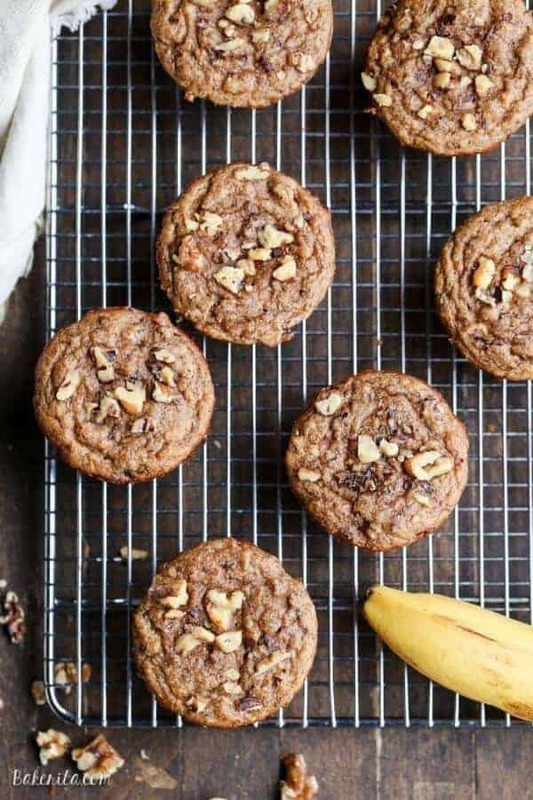 A banana-riffic answer to the classic cookie bar, these little snack-sized bars (which are 100 percent sugar free, incidentally) make for a fantastic on the go treat, bake sale addition, or endpoint for all your extra overripe bananas. Part cookie, part banana bread, all yummy, don’t be surprised if these little guys disappear faster than you can make them! 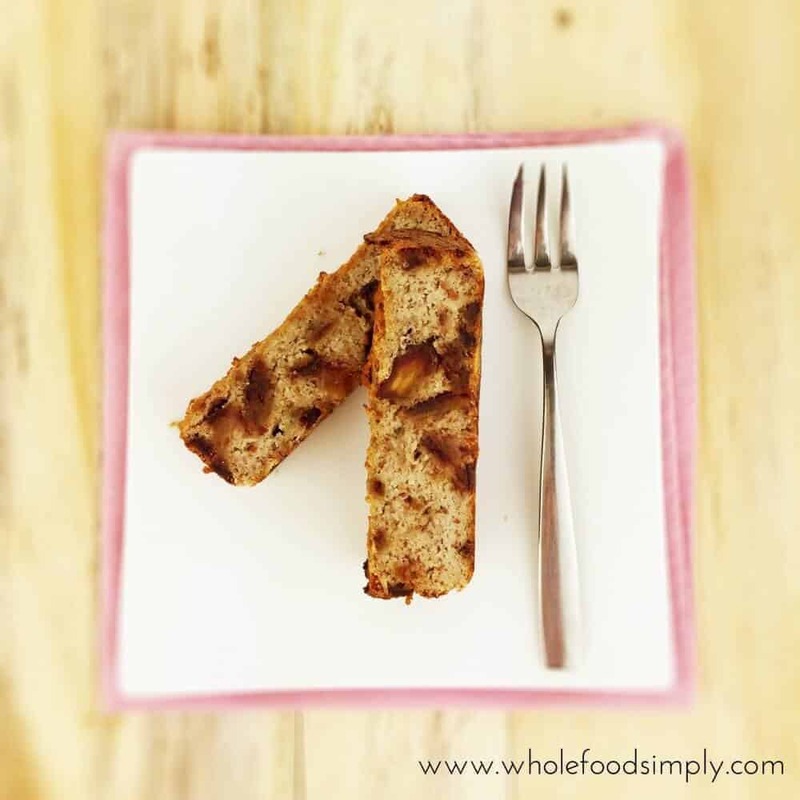 Delicious yet still one of those paleo foods that manages to be healthy in an undercover way, this riff on classic banana bread will knock your sweet tooth into the stratosphere. Full of flavor and just the right amount of moisture, there’s enough goodness here for one regular-sized loaf or four mini-loaves, whichever you prefer. 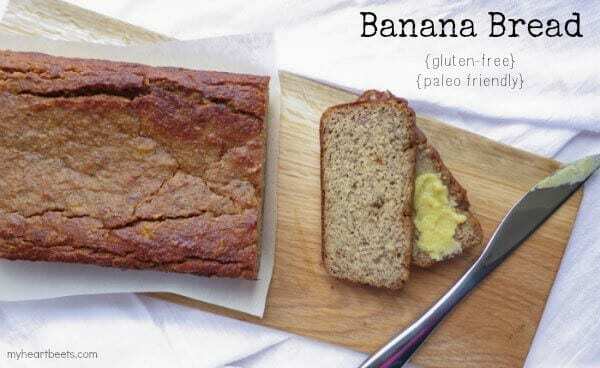 A great option for when the winds of winter are howling outside your window, this Paleo banana bread recipe is like eating a slice of summertime for breakfast. Chock-full of blueberries, this simple, eight-ingredient dish will wow you not only with its taste, but with its simplicity. It’ll take about an hour to make, but you’ll be lucky if it lasts that long! Desis represent! 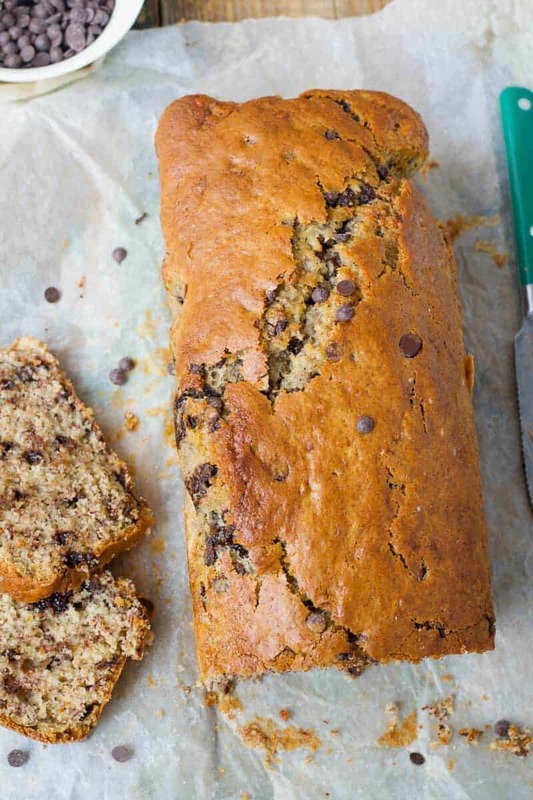 Who’d have thought you could make a bangin’ loaf of banana bread with ground up chickpeas? Well, it just so happens that you can. In fact, the nuttiness of chickpeas compliments the sweetness of bananas and brown sugar quite well. So chalo! Stuff your face with this grain-free, gluten-free, deceptively healthy Paleo diet treat. This humbly titled dish is anything but. 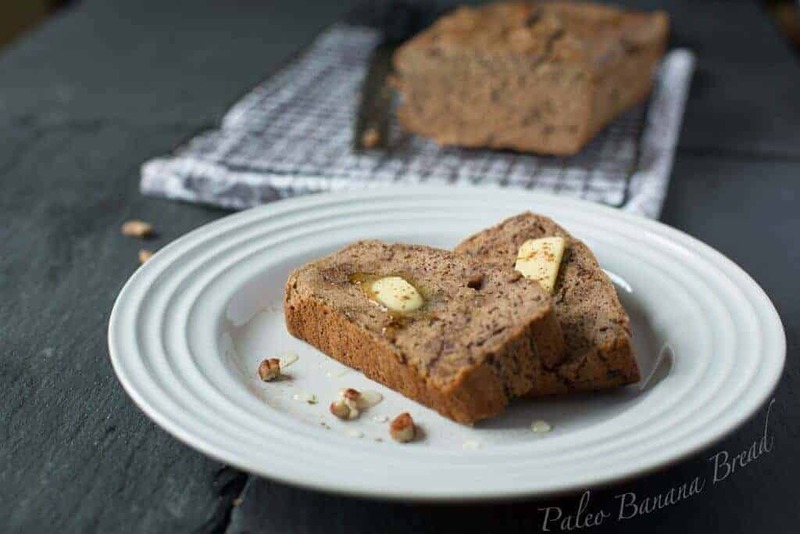 More of a Paleo banana custard than a bread, this whimsical loaf is great for first-time bakers and those dipping their toes into the world of Paleo banana bread recipes (or the Paleo world in general). If the taste and simplicity aren’t enough, the cuteness of the split banana will have you grinning from ear to ear – and that’s before you take a bite. After that, well, let’s just say this won’t be the only loaf you end up making. Levantines, this recipe’s for you. “Beautiful” may be a matter of personal perspective, but good taste definitely isn’t, as this Paleo banana bread recipe proves. 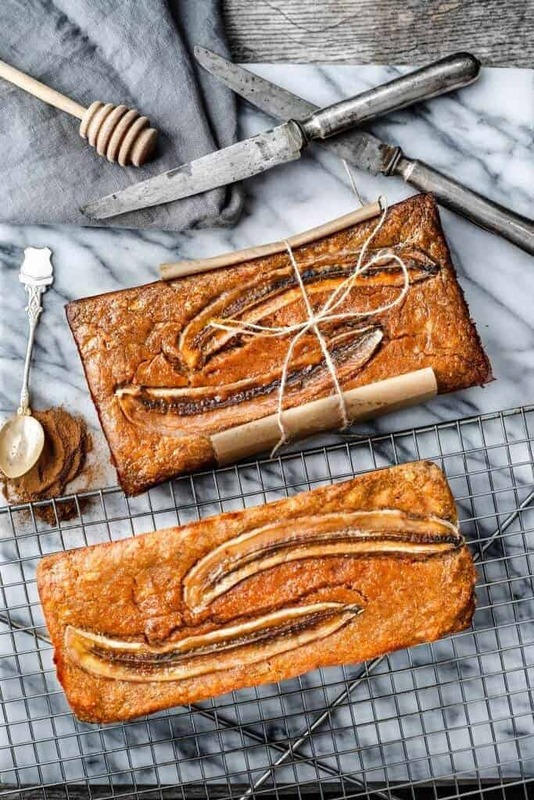 Full of delicious twists on the classic theme of banana bread – lemon, Medjool dates, and tahini among them – this is one healthy banana bread recipe you’ll be returning to again and again. OK, that’s far enough. The title should have convinced you. 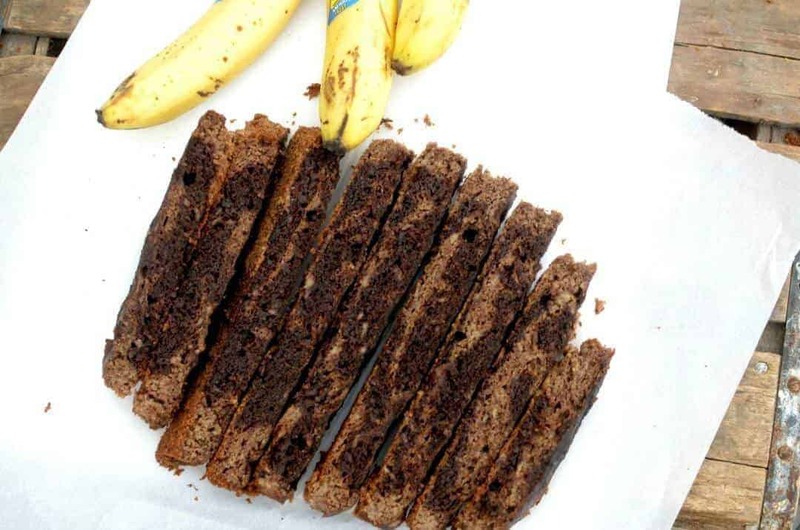 Still, if you lack basic humanity or were hit on the head with a mallet and therefore can’t understand the glorious implications of healthy chocolate, here it is spelled out for you: This banana bread is Paleo-friendly, bursting with bananas and chocolate all at once, and it’s still good for you. It takes less than an hour to make, you can turn it into muffins… honestly, why are you still reading this? Start up a batch, lick the bowl, and be merry! These quick-serve mini loves are a great way to get some Paleo banana bread into the house, especially if it happens to be close to Halloween. After all, since one go-round of this recipe makes 3 vegan mini-loaves, you won’t have to work very hard at all before you’ve got enough for the whole block (or just, you know, a few extra for yourself. We won’t judge). 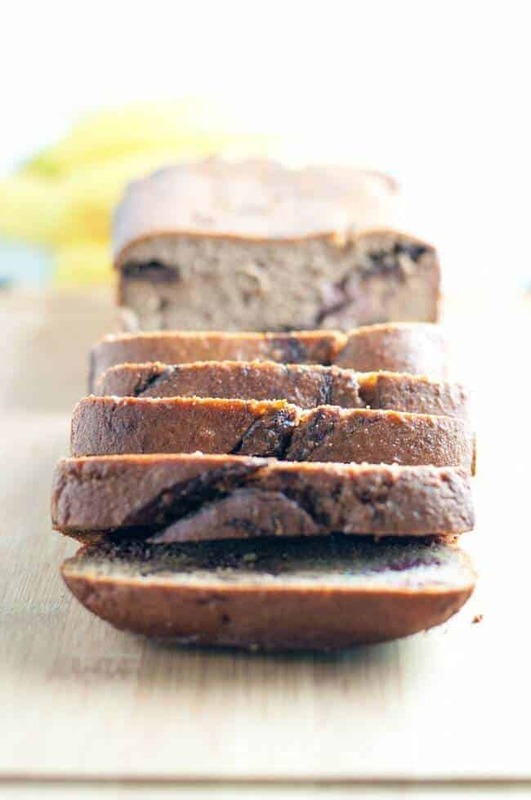 You won’t find an easier Paleo banana bread recipe than this, no ifs, ands, or buts about it. 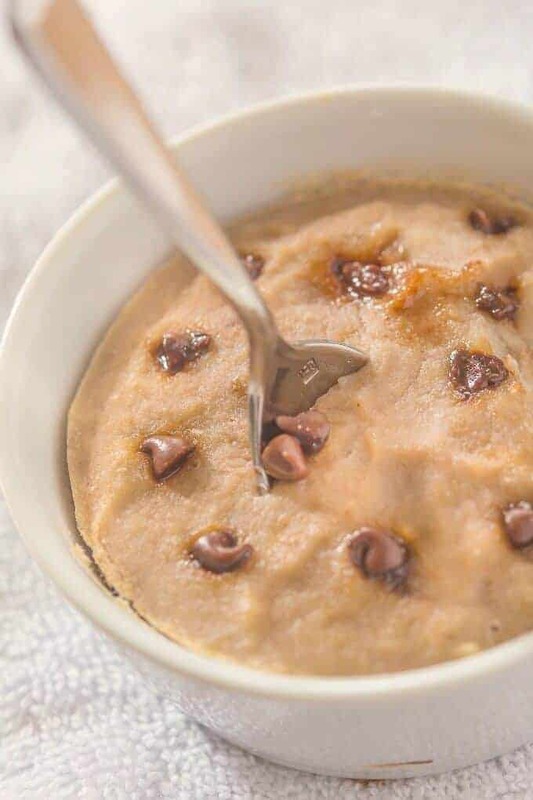 A fusion, of sorts, of banana bread and spoon bread, this four-ingredient, 60-second spoonable banana bread snack is Paleo-certified, vegan-friendly, sugar-free, and of course, just brimming with bananas and chocolate chips. Yum! Another treat for the muffin-heads in the crowd, this recipe boldly claims that it results in “the best muffins”. Maybe it’s because they’re only 165 calories apiece in spite of the fact that they overflow with bananas and chocolate chips. Maybe it’s because you can use the same recipe to make muffins, pancakes, various loaves, and even waffles. We don’t know, and we couldn’t say for sure – we’re too busy eating them. Aren’t mug cakes great? They’re everywhere now, it seems. 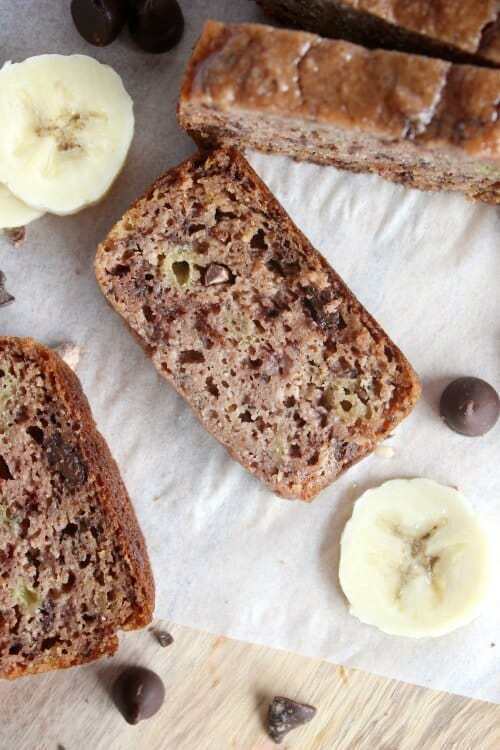 You’ve got cup-compatible muffins, brownies, cakes, and everything in between popping up on social media, so it’s only natural that a Paleo-friendly banana bread should enter the lists. 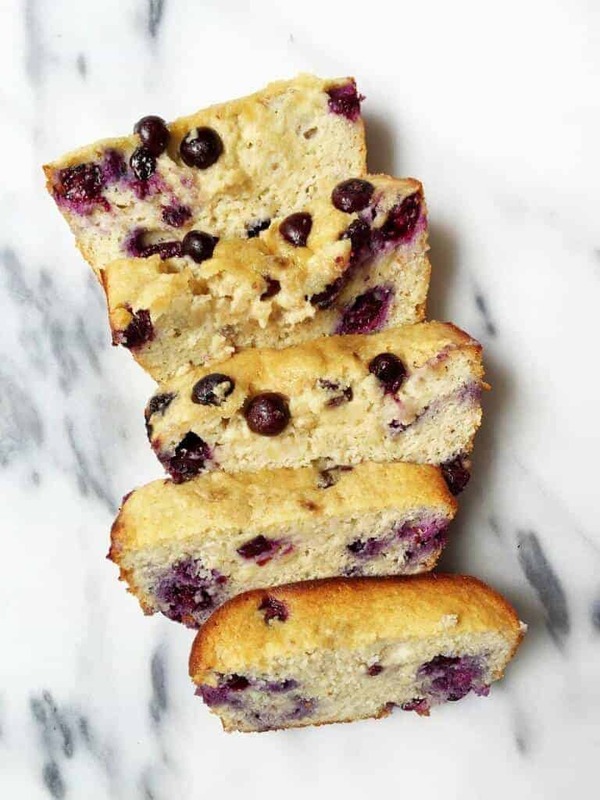 This particular recipe produces a lovely single-serving size dish of blueberry banana bread that’s free from most of the nasty junk found in non-Primal foods. Oh, and did we mention it’s ready in less than five minutes? ‘Cause it totally is. Grab a cup, a spoon, your favorite book, and enjoy! 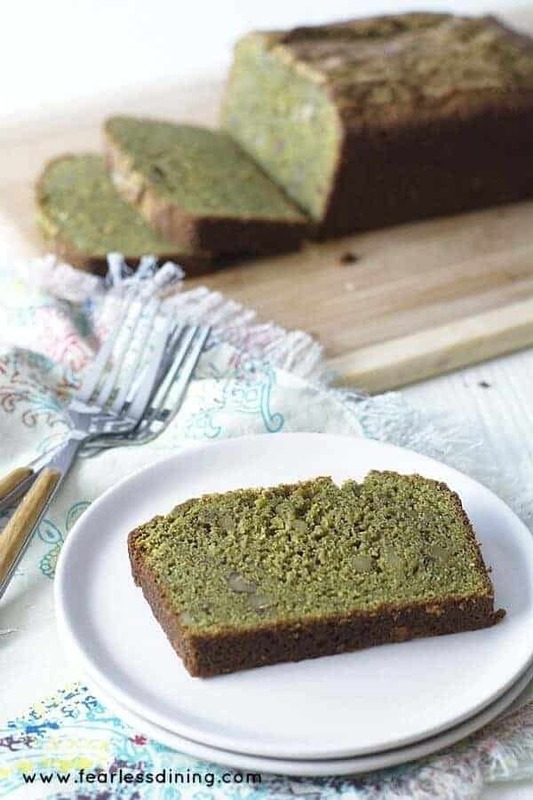 Green tea in your banana bread? Believe it! 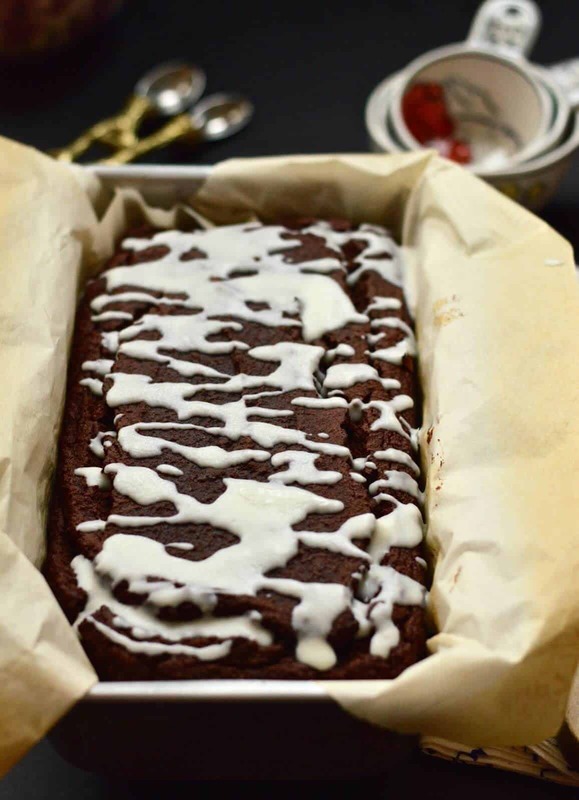 Mocha banana bread has long been a staple of both the Paleo and traditional arenas, yet there’s another less traveled road, namely the addition of Matcha powder (that is, powdered green tea) as a caffeine / flavor delivery vehicle. You can pick it up either online, in some specialty shops, or at Starbucks, so it isn’t hard to find. As for the loaf itself, you wouldn’t think it, but green tea and banana are actually very compatible flavors. Don’t take our word for it, though – bake some and see for yourself! This recipe may have a simple title, but sometimes simple is best. 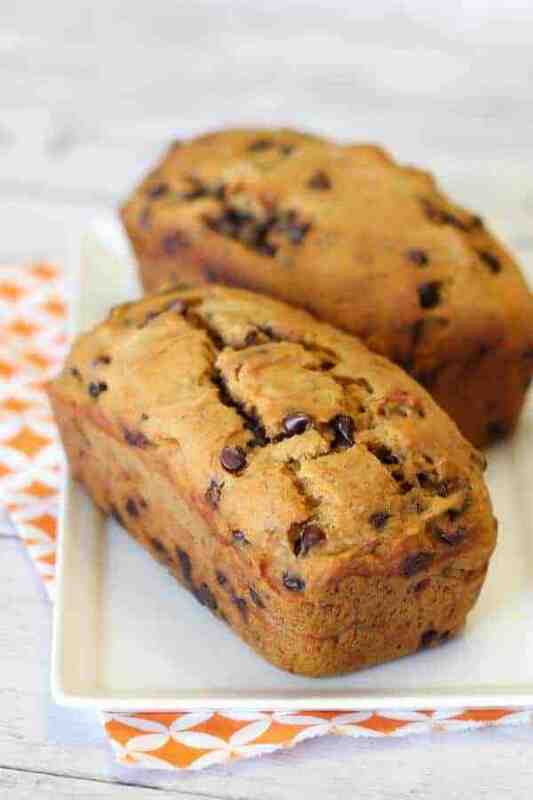 Basic ingredients – nut flours, honey, plenty of bananas, and chocolate among them – all combine to make a scrumptious loaf that also lends itself well to muffin-sized portions. It’s not as fancy or avant-garde as some of the other recipes on this list, but when you’re done, you’ll have a solid, tasty loaf of Paleo banana bread, and that’s what counts. Want some food that’s got some history behind it to go with all that taste and nutritional value? Look no further than this sweet cassava flour based snack. 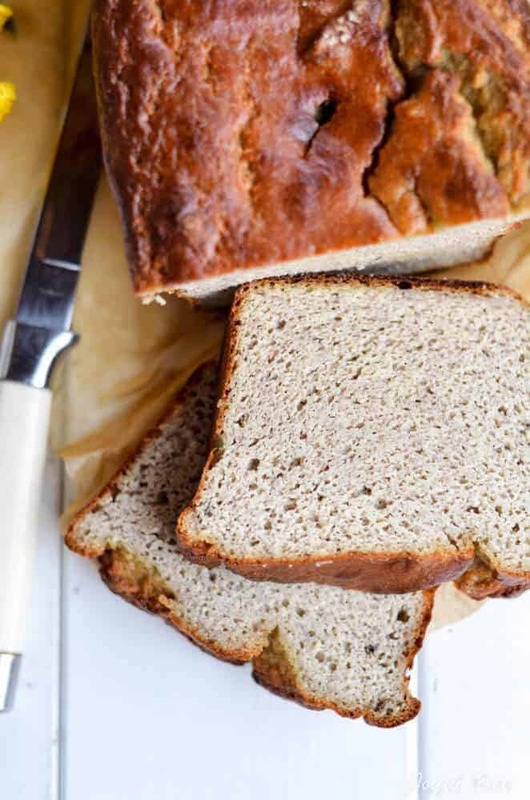 Cassava has been a foodstuff for millennia, serving indigenous peoples and modern diners alike, and this banana bread variation just proves it. Eminently Paleo-friendly, this recipe is suitable for a dessert, a light snack, or as part of a breakfast or brunch. What could be easier than muffins that you can whip up by tossing four ingredients in a bowl and blending? OK, there’s a little more to it than that, but not much more. A modicum of effort here will see you rewarded with piles of rich and healthy banana nut muffins, which, when you get down to it, is reward enough for any sane person. If the muffins just reviewed don’t do it for you, try these. Ready in a half hour, give or take a minute, the star of the show here is definitely the bananas. Toss in the recommended dose of toasted walnuts, and tongues everywhere agree: These muffins are magic. Is it winter where you are? Perhaps a thunderstorm is howling outside your window. 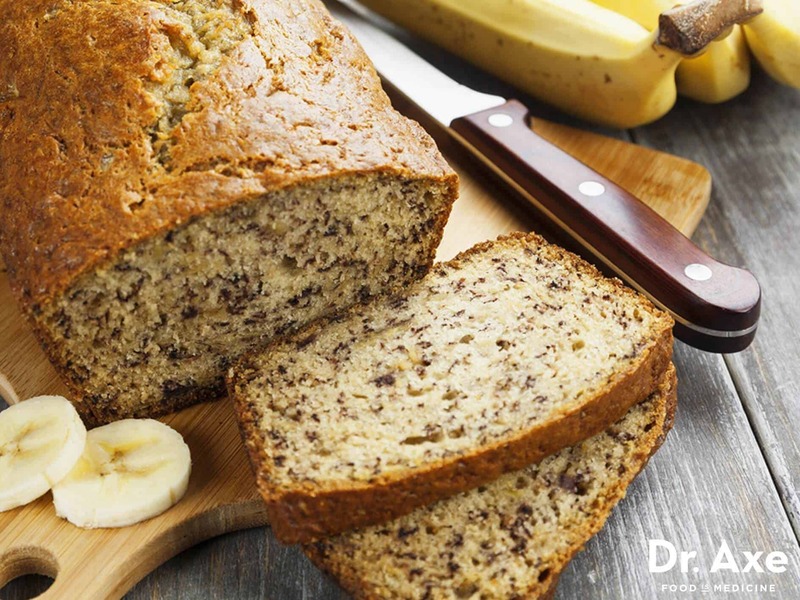 Whatever the case, such inclement weather calls for comfort food, and it doesn’t get more comforting than a thick slice of fresh-baked banana bread. Oh, wait, yes it does. You could add the ooey-gooey chocolate-raspberry swirl found in this recipe. What’s the effect of such an addition, you ask? Only a decadence so sweeping and all-pervading that you don’t even need to use a sweetener. After all, with bananas, chocolate, and raspberries, who needs honey or sugar? Go on, grab a slice! The title is a mouthful (a yummy, drool-inducing mouthful), but don’t let that scare you off; for all their taste, these cookies are relatively dainty things. 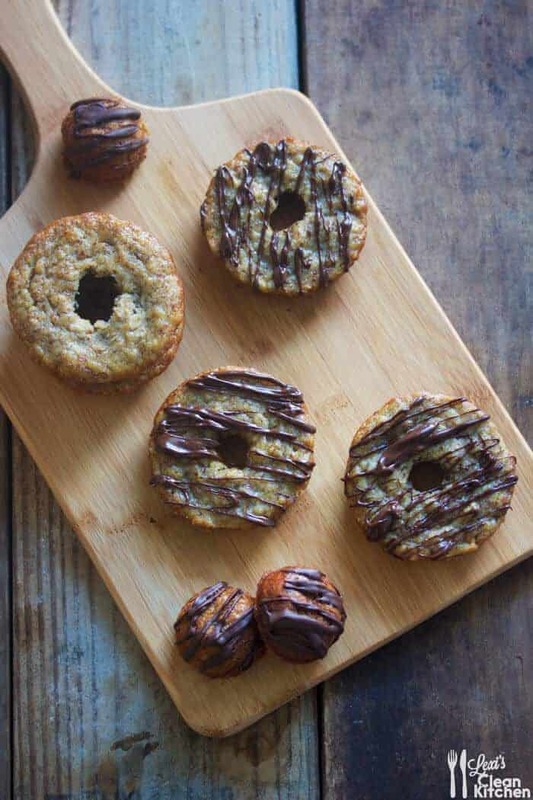 The first entry onto our list of buckwheat groats (whatever a groat is), these cookies are otherwise made with standard Paleo-suitable ingredients. The icing is a decadent, drizzly mix of handmade coconut cream and chocolate sauce. Here’s a tip for you advanced bakers and intrepid experimenters out there: Adding in some peanut butter to the batter before you bake the cookies takes these cookies to the next level. One of the best things about the Paleo diet is liberation from the symptoms of the standard grain-heavy Western diet. Of course, the fact that you can still have such delights as banana bread on a daily basis if you choose is a nice perk, too. If anyone says you can’t live a happy, healthy, great-tasting life on a Paleo diet, hand them a slice of this grain-free banana bread, then get ready to accept their apology, if you can hear it around a plea for seconds, that is. For those with Celiac disease, Chrons’ disease, or similar disorders which have been brought about or which are exacerbated by the standard Western diet, it may seem like home-baked sweets are forever out of reach. Well, you can rejoice, because that’s just not the case. 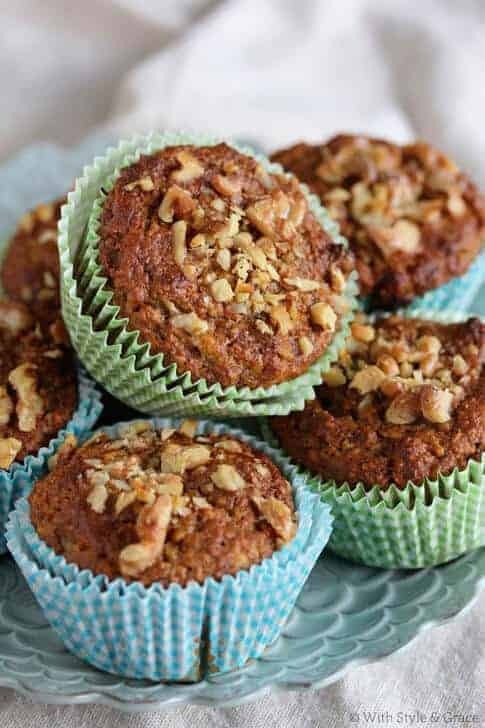 Take these Banana Walnut Coconut Flour Muffins, for example. Simple, delicious, and good for you, they’re just the right mix of nutritious and sweet. They only take around 45 minutes to make, and the yield is around one dozen scrumptious muffins. Bon appetit! The fourth entry in this recipe rundown to simply be called “banana bread”, this recipe is like its brothers and sisters in that it shares a “back to basics” sensibility. Bananas, clover honey, and a strict no-grain policy settle this snack squarely in the Paleo category. Interestingly, this particular recipe produces loaves that taste good when dipped in plain yogurt. This recipe is all about trickery. We all have that person in our lives who just won’t eat anything – it’s too spicy or too bland or too fattening or yes, even too healthy. Well, it’s time for them to get their comeuppance. Don’t worry, we’re going to kill them with kindness by overloading their taste buds (and their brains) with a paradox. What do you do when you’re confronted by a sweet, cake-like dessert (banana bread) that’s actually healthy and nutritious? That’s right, you eat it, because there’s nothing left to complain about! Bake up a loaf or two of this magnificent creation, and trust us, all shall be right with the world. Yep, you read right – this recipe only contains three ingredients. Throw some almond meal, some Medjool dates, and some bananas into a blender, throw the resulting batter into a loaf pan, and bake for half an hour or so. Let your loaf (or loaves – hey, why not?) cool for a while, then attempt to restrain yourself as you struggle valiantly against the impulse to eat the entirety of your bounty in one sitting. 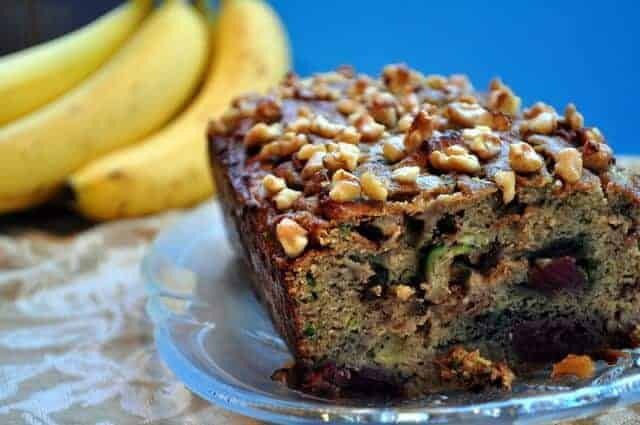 Another blender-assisted banana bread recipe, this one simply takes the classic banana bread formula, gives it a Paleo twist, and then removes about 95 percent of the work. 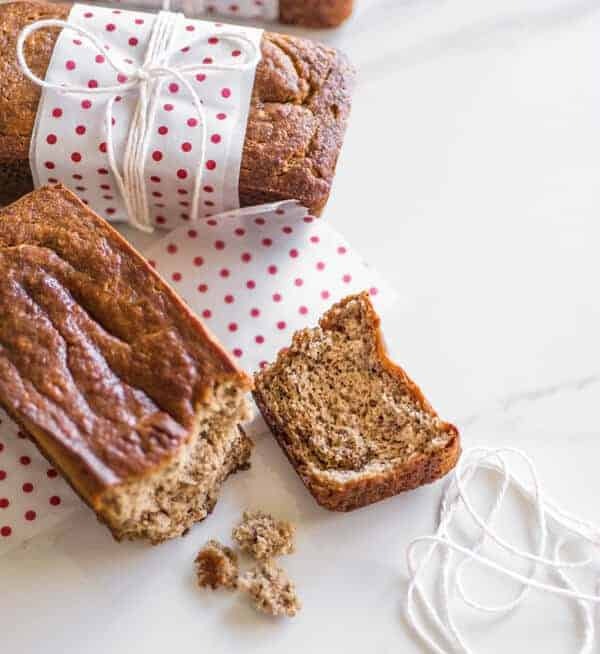 As an aside, these gluten-free loaves of scrumptious banana bread don’t just look and taste like you slaved over them all day, they freeze well too, making them ideal for batch cooking occasions like bake sales (or binge eating!). At first blush, you might think that this is just one more entry in a long line of health-conscious banana bread recipes, and on the one hand, it is. 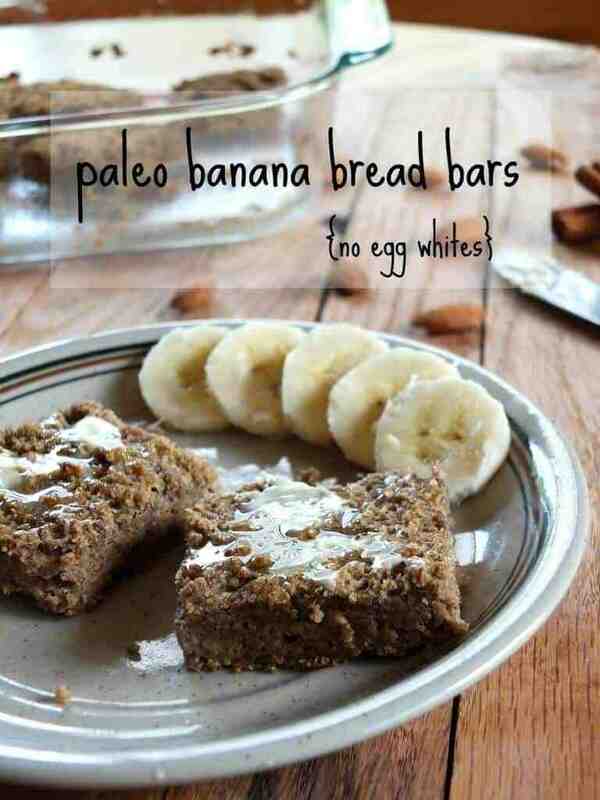 It’s banana bread, and it’s Paleo, so it’s good for you. But there’s a secret ingredient lurking just below the surface. Can you guess what it is? Spoiler alert: It’s apple juice! When combined with all the other stuff in this recipe, the juice in this bread lends a delightfully tart moistness to what might otherwise be just another anonymous dessert loaf. If your sweet tooth is in overdrive but you’re worried about derailing your Paleo progress (especially if you’re new to the lifestyle), take heart – this is the recipe for you. 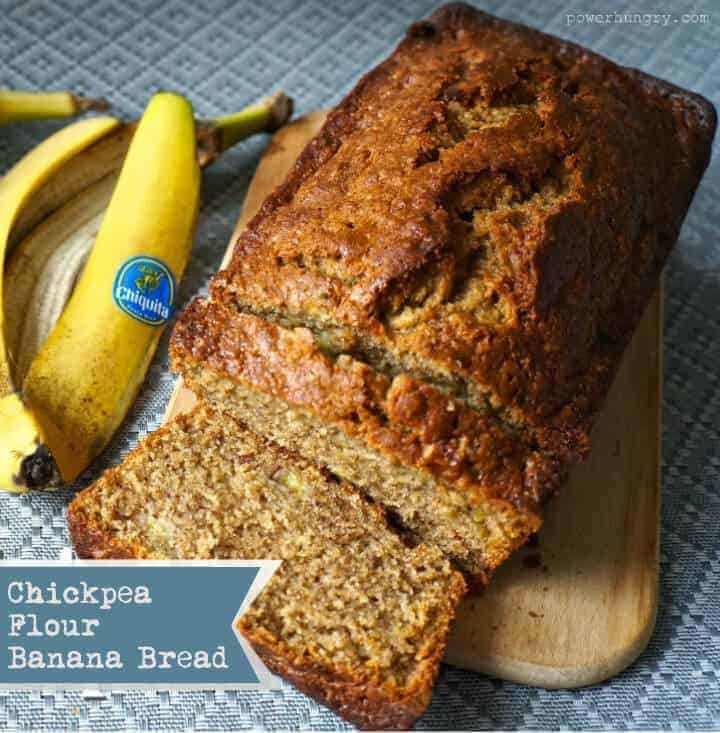 This banana bread takes a mere hour to bake, and is filled to bursting with so many natural ingredients that the only sweeteners required are the bananas you add in while mixing the batter. Well, the bananas and a bunch of dark chocolate. Speaking of which, if you’re a stickler for accuracy, you can actually make your own Paleo dark chocolate; most beginners find using the store-bought kind is easier for starters. Get it before it’s gone! Who doesn’t love donuts? Honestly, they’re probably the perfect food – millions of cops and America’s most iconic cartoon character can’t be wrong, right? And when you put a health-conscious Paleo twist on them, well, it’s easy to see why these things go like gangbusters. Of course, maybe that has something to do with the raw honey and chocolate chips – who can say? With only a 15 minute bake time, you’ll have plenty of time to figure out that riddle for yourself. Do you know a bunch of people who have an insatiable chocolate craving while also caring what they put into their bodies? Maybe you yourself are such a person (otherwise, why read this recipe guide?). Either way, your collective world is about to be rocked thanks to these Double Chocolate Paleo Banana Bread Bars. 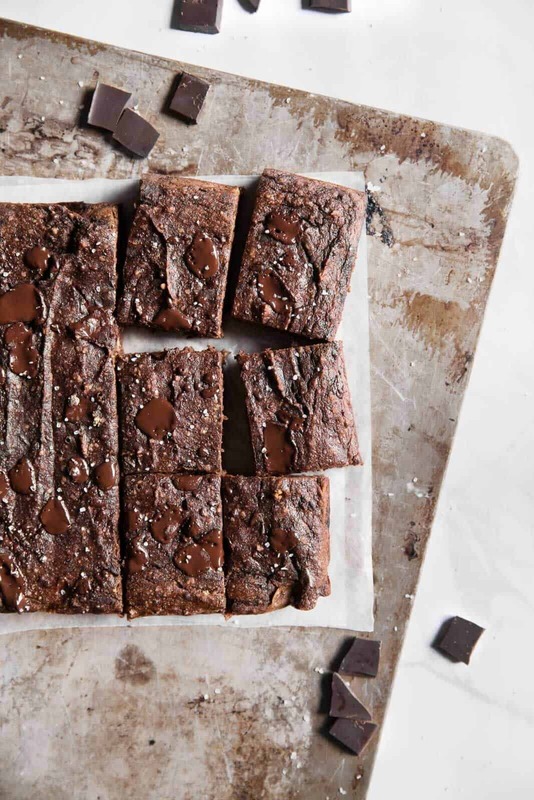 Full of nutrient-rich goodness and enough chocolate to feed a small army, this recipe yields one dozen mega-tasty Paleo bars. Don’t be surprised if you have to double up, though; these things have a mysterious tendency to vanish with alarming rapidity. 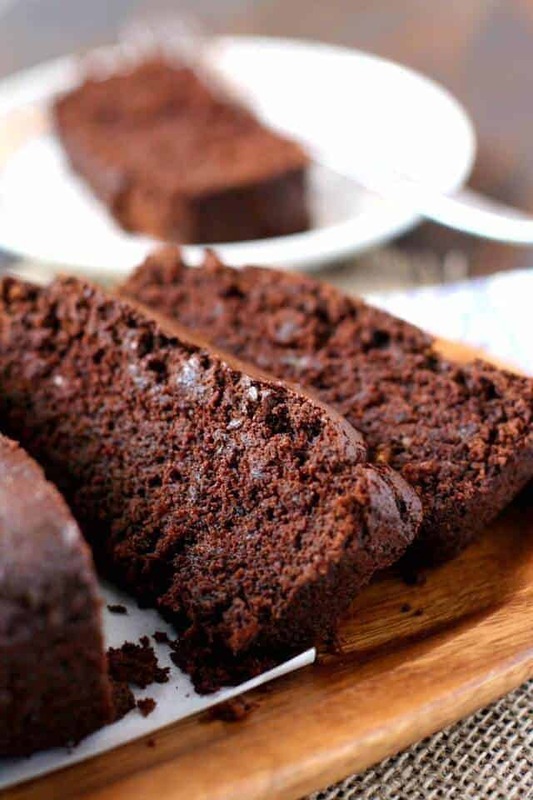 Another representative from the chocolate lobby, this banana bread recipe is more like cake than actual banana bread. Still, the bananas are definitely the star of the show; the secret is to get them as ripe as possible before use so you can use their natural sugars in place of the refined stuff. Got leftovers (yeah right!)? This is a decent freezer recipe, especially for being vegan-friendly. It’s a bold claim, but this particular paleo banana bread is designed from the ground up to accommodate as many dietary preferences and styles as possible while still being easy to make, healthful, and great-tasting. 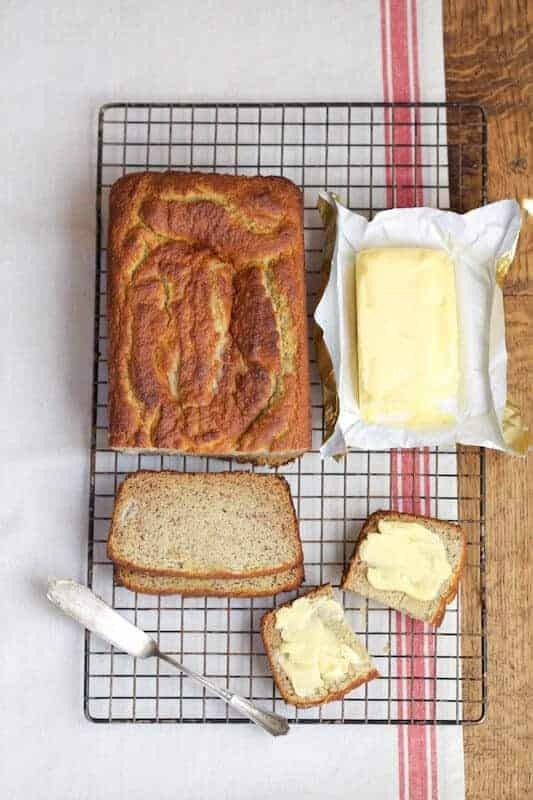 With a moist, tender crumb and just the right amount of resistance in the crust, it’s a safe bet that you’ll be hard-pressed to find fault with the title – let alone the taste – of this banana bread. Enjoy! “Healthy chocolate cake”. Now there’s a contradiction in terms if ever there was one! Even so, that’s what you’ve got in this recipe. Rich, dense, flavorful, and packed with vitamins, this decadent, coffee-tinged dessert somehow manages to slip in all the good stuff (including a coconut drizzle for flair) with none of the guilt. So go on, have a piece (or two, or three, or four) before it’s gone. We promise, once people start to smell it, it won’t last long. Sometimes, an entire loaf of banana bread is just too much, even if it is Paleo. 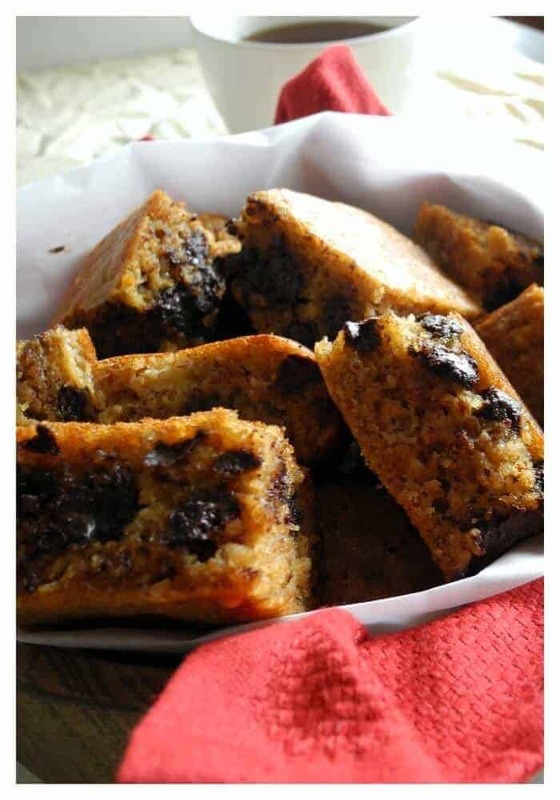 For those occasions, you can break out this recipe for bite-sized Chocolate Chip Banana Bread Squares. Perfect as a healthy appetizer or brunch addition, a batch of 16 takes less than an hour to make. By the way, this recipe is easy to double, triple, and so forth for bake sales and such, so go crazy! With a name like this, you’d think this recipe would be some frou-frou holiday fluff piece, or else incredibly and needlessly complex, or at least full of alcohol. While you could bring it out over the holidays, and while no one will stop you from enjoying a bit of the bubbly with your slice, this is actually quite a simple dish to make. The name actually stems from how happy you – and anyone else who gets a bite – will be after you’ve eaten it. 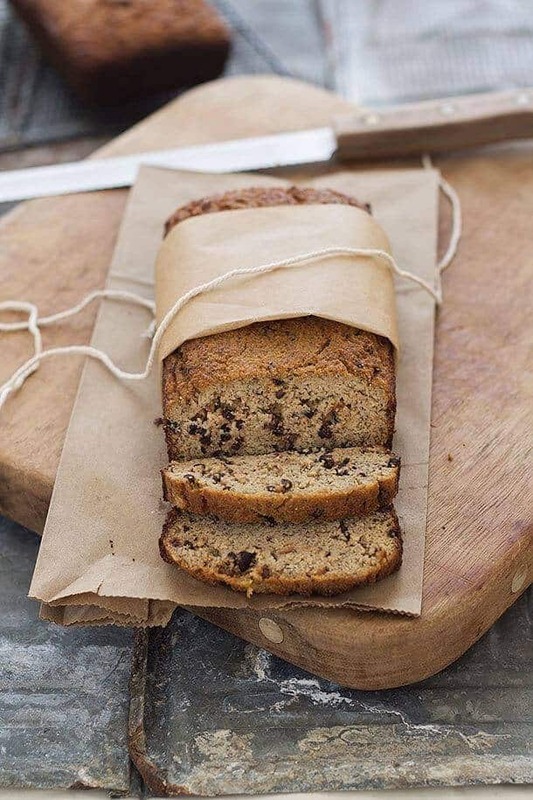 Great-tasting, cleverly-named banana bread that’s good for you? No one could ask for more. All that’s left to do now is to eat, drink, and be merry! An extremely simple recipe to make, this Paleo treat actually ends up straddling the line-of-taste between banana bread and pumpkin pie. Don’t worry, though, the bananas win out in the end! For added flair, follow the suggestions and toss in some chopped nuts, or else compliment the coconut flour by adding shaved / grated coconut. Few things go together better than peanut butter and bananas, and this recipe capitalizes on that fact. 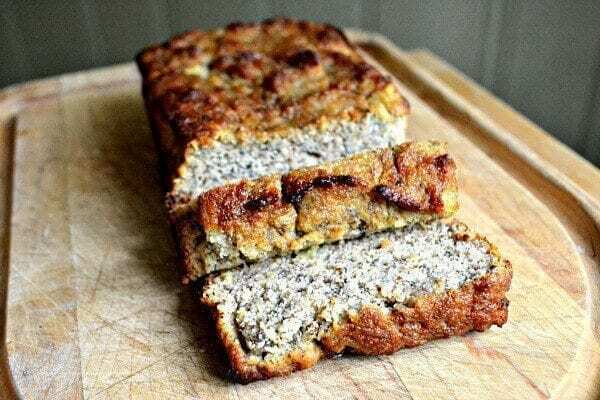 This Paleo breakfast loaf packs in tons of both, plus applesauce and a few other choice ingredients for a start-of-the-day meal that will have even the most recalcitrant riser smiling from ear to ear. No oils, no grains, no dairy, and no gluten – just lots of juicy cranberries, salivary-gland drowning chocolaty goodness, and enough bananas to start your own fruit company. That’s all you’ll find in this most lip-smacking of Paleo banana bread recipes. The whole thing takes just over an hour to make, and will absolutely melt in your mouth when you bite into it, so go on – eat dessert for breakfast. 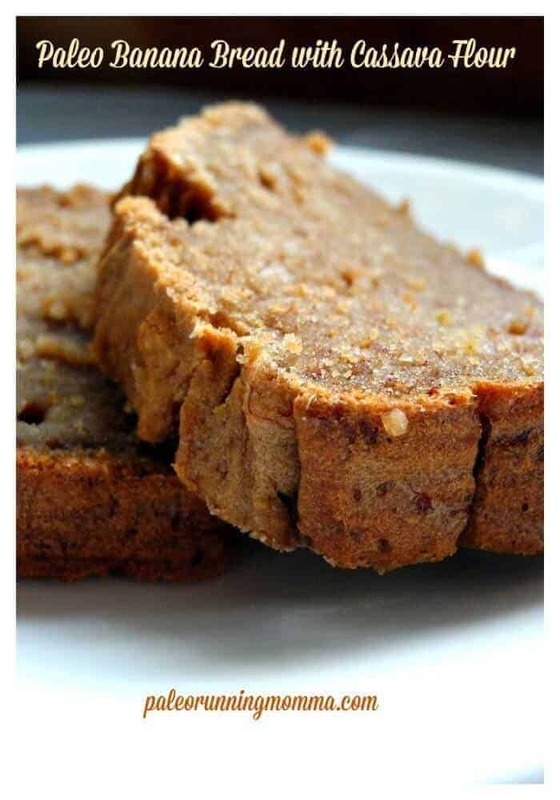 Put The Pilsbury Doughboy on Unemployment with these 50 Paleo Banana Bread Recipes! 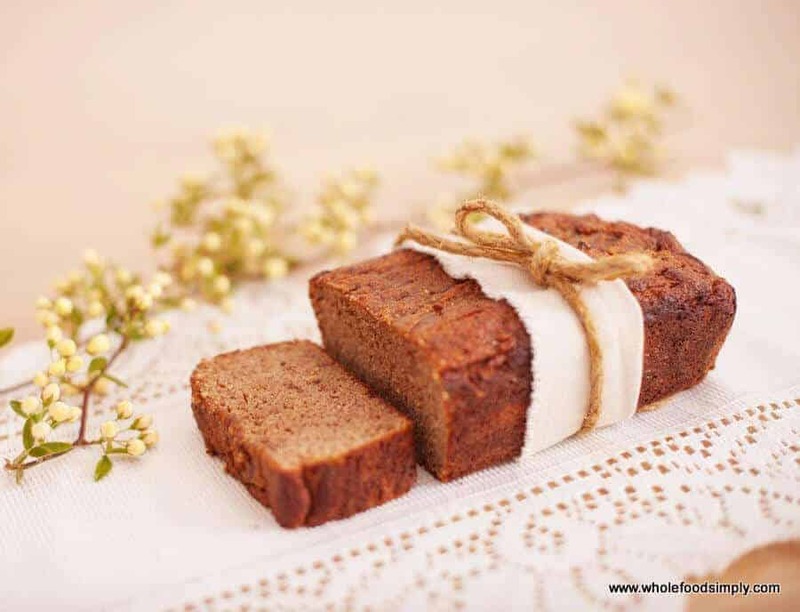 Paleo banana bread is a great way to introduce yourself, your loved ones, and your friends to the world of Paleo foods or healthy living in general. With these recipes in hand, you should have no trouble at all finding something scrumptious and nutritious to bake for them. In fact, the only real problem you’ll have is self-control. Thanks for reading, and good luck!